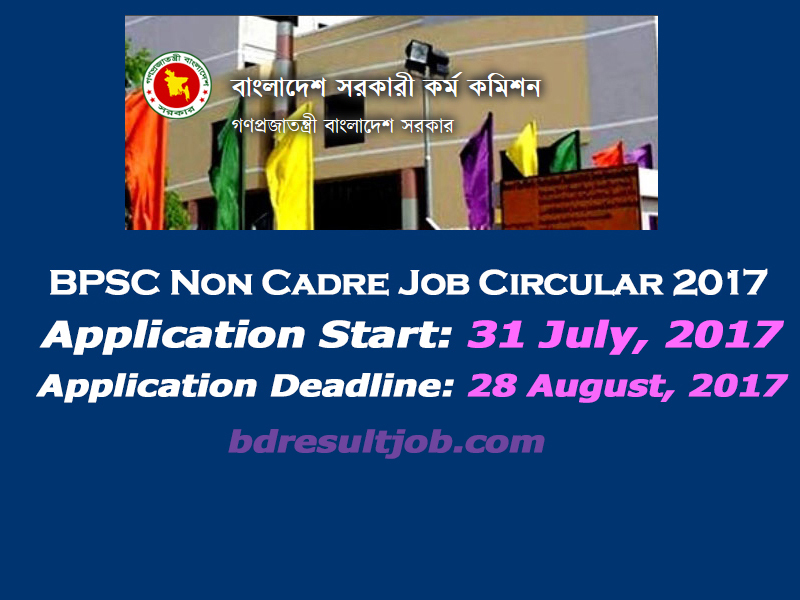 Bangladesh Public Service Commission published Non Cadre Job Circular on 30, July 2017. 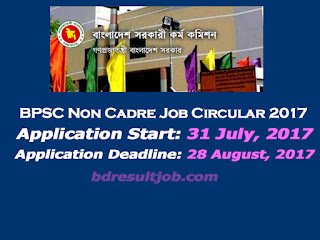 Interested candidates can registration in BPSC.GOV.BD Non Cadre Job Circular & Apply Online 2017 by BPCS Official website at www.bpsc.gov.bd. Bangladesh Public Service Commission Non Cadre Job Circular & Apply Online 2017. Bangladesh Public Service Commission Non Cadre Job Circular & Apply Online 2017 was started on 31st July 2017 at 12.00 pm. This application process will be continuing till 28st August 2017 at 6.00 pm. 2. Applicant’s Age is mentioned in notice for All posts. For freedom fighter’s son or daughter it wills highest 32 years old. But For freedom fighter’s grandson or granddaughter it will be maximum 30 years old. Educational Qualification: Please see the advertisement.